Founded in 1072. Consists today of the nave of medieval monastic church (1150) and the modern parish church (1821) erected over foundations of original choir. 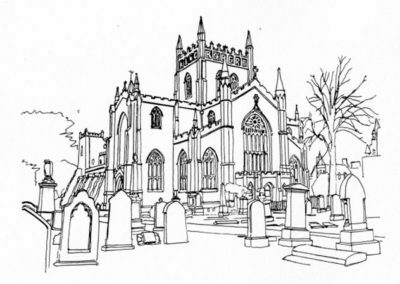 Burial place of King Robert the Bruce and numerous other Scottish royals including Malcolm III (Canmore) and his Queen, St Margaret of Scotland. Exquisitely carved pulpit by William Paterson, Edinburgh 1890. Fine pipe organ of 1882, rebuilt Walker in 1966. 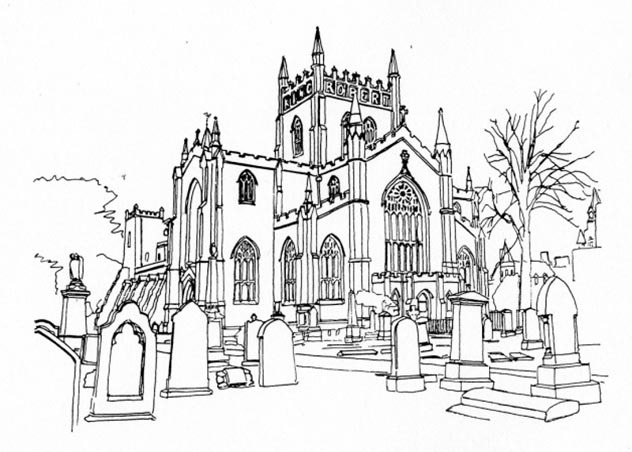 Dunfermline Abbey Parish Church is a Destination Hub on the St Margaret Pilgrim Journey.